(16/22) Vos livres préférés (finance, développement personnel…) ? 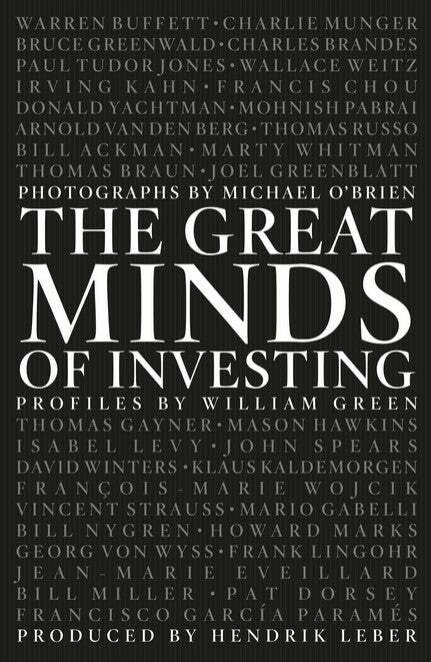 “The Great Minds of Investing” is a collection of stunning photographs of 33 renowned investors captured by the lens of Michael O’Brien. The photographs are accompanied by profiles either written or edited by Green, who told Benzinga that his goal was to take a look beyond the dollars and cents and capture the fundamental make-up of these investing geniuses. La photographie y joue un rôle clé puisque chaque investisseur est représenté sur une pleine page. Elle a été confiée à une star de la photographie en noir et blanc, Michael O’Brien. Un photographe qui a gagné davantage d’argent avec ses actions qu’avec sa profession. En 1988, il immortalisa Warren Buffett sur le toit de son immeuble. L’image fait la couverture de la biographie de l’investisseur écrite par Roger Lowenstein. Michael O’Brien demanda à Warren Buffett s’il n’avait pas été gagné par la peur lors du krach de 1987. Le «mage d’Omaha» lui raconta qu’il aurait souhaité une plus forte baisse afin d’acheter à de meilleurs prix. Dans l’avion du retour, le photographe, intrigué, lut le rapport annuel de Berkshire Hathaway, investit 5700 dollars dans la société, puis augmenta sa position. L’investissement lui permit entre autres de financer les études de ses trois enfants et une piscine pour sa femme. 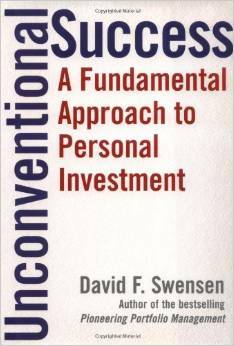 voici un résumé du livre Unconventional Success, a fondamental approach to personal investment de David Swenson qui a été chief investment officer du Yale Endowment depuis 1985 et qui pèse aujourd’hui 24milliards de dollars. C’est pour moi un des meilleurs livre sur l’investissement avec a random walk down wall street de Malkiel. o long-term investors build portfolios with a pronounced equity bias. Equity ownership drives long term returns. • Equity Bias: 1 dollar invested in the stock market at the outset of the nineteenth century, with all gains and dividends reinvested, grows to $8.8 million at the beginning of the twenty-first century (1802 to 2001). Jeremy Siegel’s Stocks for the long run. US stocks produce an 8.3% compound annual return from 1802 to 2001. Jeremy Siegel: 8.3%. Ibbotson: 10.4%. No other asset class possesses such an impressive record of long-term performance. Arnott’s study: out of 7.9% equity return, 5% come from dividends, 1,4% from inflation, 0,8% from real dividend growht, and 0,6% from rising valuation. ==> importance of dividends to hitorical returns (at odds with conventional wisdom that suggests that stocks provide growth first and income second). • Market timing: available evidence points to a pattern of excessive allocation to recent strong performers, offset by inadequate allocation to recent weak performers for individual investors. Overweighting assets that produced strong past performance and underweighting assets that produced weak performance provides a poor recipe for pleasing prospective results. Indeed, market exhibit mean-reverting behavior, a tendency for good performance to follow bad and bad performance to follow good. Investors who fail to rebalance their portfolios to long-term targets end up with outsized exposure to recently appreciated assets that prove most vulnerable to poor future results. • For the investment community as a whole, security selection plays a return-reducing role in investment performance. • Unanticipated deflation boosts bonds, while undermining stocks. US treasury bonds provide a unique form of portfolio diversification, serving as a hedge against financial accidents and unanticipated deflation. No other asset comes close to matching the diversifying power created by long-term, noncallable, default-free, full-faith and credit obligations of the US government. • Ibbotson associates: stocks returns = 10,4%, government bonds return = 5,4%. Real estate returns = 5,4+2,5 = 7,9%. Real estate sits somewhere betwee, stocks and bonds in risk and return characteristics. • For individual investors, publically traded real estate securities generally provide reasonably low-cost exposure to relatively high-quality pools of real estate asset. Unfortunatelly, privately offered retail real estate partnerships (SCPI) provide exposure to real estate at such obscenely high cost that the individual investor stands no chance of earning fair returns. ==> Gaining real estate exposure through public securities makes the most sense. • Sensible investors avoid corporate debt, because credit risk and callability undermine the ability of fixed-income holdings to provide portfolio protection in times of financial or economic disruption. • Since improving credit fundamentals frequently go hand in hand with rallying stock prices, investors face better odds by owning unlimited-upside stocks as opposed to constrained-potential bonds. • Junk bonds (high yield): a poor choice. Magnified credit risk, greater illiquidity, more valuable call options pose a triple threat to bondholders seeking high risk-adjusted returns. The relativelly high cost of junk bond financing provides incentives to stock-price-driven corporate managements to diminish the value of the bond positions in order to enhance the standing of share-owners. • Sensible investors avoid currency speculation. Top down (macro) bets on currencies fail to generate a reliable source of excess returns, because the factors influencing economic conditions, in general, and inerest rates, in particular, prove far too complex to predict with consistency. • Leveraged buyouts: While the value added by operationally oriented partnerships may, in certain instances, overcome the burden imposed by the typical buyout fund’s generous fee structure, in aggregate, buyout investments fail to match public market alternatives. After adjusting for the higher level of risk and the greater degree of illiquidity in buyout transactions, publicly traded equity securities gain a clear advantage. • in the absence of truly superior fund selection skills (or extraordiary luck), investors should stay far, far away from private equity investments. (Cambridge Associates PE funds average returns: 11.5%, while 12.2% over the same 20 year period ending in 2003 for the S&P500). • The large majority of buyout funds fail to add sufficient value to overcome a grossly unreasonable fee structure. • Buyout funds: Unless invesors command the resources necessary to identify top-quartile or even top-decile managers, results almost certainly fail to compensate for the degree of risk incured. • Unfortunately for investors, the promise of venture capital exceeds the reality. Over reasonably long periods of time, aggregate venture returns more or less match marketable equity returns. Therefore, venture investors fail miserably on a risk-adjusted basis. • Non-core asset classes provide investors with a broad range of superficially appealing but performance damaging investment alternatives. • Because of the enormous difficulty in identifying an engaging superior active managers, prudent investors avoid asset classes that derive returns primarily from market-beating strategies. • Buying yesterday’s winners and selling yesterday’s loosers inevitably hurts tomorrow’s performance. • Regression to the mean, one of the most pwerful influences in the world of finance, explains the tendency for reversal of fortune. • Sensible investors avoid the speculative opportunity of the moment, whether promoted by a high-flying fringe operator or middle-of the road companies like Merril Lynch. • By emphasizing asset types and mutual funds that have done well, Schwab and Morningsar encourage investors to buy high and sell low, providing a poor recipe for wealth accumulation. • Sensible investors avoid fads, behaving in a disciplined independent fashion. Fidelity to asset allcoation targets requires regular purchase of the out of favor and sale of the in favor, demanding taht investors exhibit out of the mainstra, contrarian behavior. • The psychology of rebalancing: contrarian behavior lies at the heart of most successful investment strategies. • In the world of investment, failure sows the seeds of future success. The attractivelly priced, out of the favor strategy frequently provides much better prospective returns than the highly valued, of the moment alternatives. The discount applied to unloved assets enhanced expected returns, even as the premium assigned to favored assets reduces anticipated results. • Sensible taxable investors reach an obvious conclusion: invest in low-turnover, passively managed index funds. Je pense être à peu près dans le thème en proposant une lecture qui sort un peu du cadre du topic. Il s’agit d’une revue et pour être exact d’un trimensuel que je suis en train de lire et qui m’apprend énormément de chose. On pourrait le classer dans la catégorie développement personnel mais en réalité, c’est une revue qui traite de philosophie, de métaphysique, de symbolisme et d’ethnologie. Elle nous insite a prendre la route au sens propre comme au sens figuré en nous faisant finalement prendre conscience que dans le voyage, la destination et le trajet (extérieur et intérieur) sont aussi beaux l’un que l’autre. The Education of a Value Investor de Guy Spier. C’est très éclairant, l’auteur, gérant du fonds Aquamarine nous présente ses doutes, erreurs, l’évolution de sa philosophie, de sa personne. Le livre est à la limite du développement personnel, mais celui d’un value investor, passionnant. Je viens de le terminer et je dois dire que c’est la meilleure lecture que j’ai faite depuis un certain temps. A vrai dire, je l’ai lu deux fois tellement il m’a inspiré ! Pour la version vidéo, c’est ici. J’en profite pour signaler l’initiative de Google qui invite des auteurs et praticiens, de toutes spécialités confondues, à venir partager leur expertise dans Talks at Google. Ici, 14 vidéos d’une heure environ avec des investisseurs, professeurs et auteurs (Pabrai, Marks, Yacktman, Damodaran…) qui viennent parler de leur livre: Investors at Google. L’auteur, géographe, dresse un portrait géographique - économique et politique de la France d’aujourd’hui. Il précise les positions des trois grands partis face à ces trois catégories - et propose quelques pistes pour le vivre ensemble de cette France périphérique, perdante de la mondialisation. Je recherche un livre d’actualité financière et boursière en français en 2015… Pas évident… Vous auriez des idées ? C’est un livre très riche, illustré d’une centaine de cartes de la France, qui commente la transformation sociale accélérée de la France sur la période 1980 - 2015 : ceci au niveau des structures familiales, de l’évolution des métiers et de l’emploi, des attitudes politiques, et des revenus et patrimoines. Les auteurs expliquent l’existence de deux France, l’une libérale et égalitaire - et l’autre, fidèle à l’idéal de hiérarchie, souvent de tradition catholique, et désormais dominante. Je confirme, je l’ai lu et j’ai beaucoup aimé. Ma vision des régions françaises est transformée. La population française est moins homogène qu’on ne le croit. Je suis en train de lire la Biographie officielle de Warren Buffet, recommandée par plusieurs membres. En étant au premier tiers, je suis un peu partagé. Il y a en effet énormément de détails intéressants et on apprécie le génie de l’homme. Néanmoins je trouve que l’auteur se perd dans des détails qui ne m’intéressent pas du tout. En fait je me fiche des détails sur la belle famille Warren, sur son voyage de noce (dans la mesure où il ne recèle pas d’anecdote financière) ou du collocataire de Warren. Si ces détails peuvent être mentionnés, je les trouve beaucoup trop détaillés, en long en large et en travers, et c’est pour moi une perte de temps. Je viens de finir The Outsiders (que je recommande par ailleurs). Un des points communs des 8 CEO est une décentralisation à l’extrême : forte délégation et autonomie des managers. Je n’arrive pas à trouver de livre traitant de l’application opérationnelle de ces méthodes. A moins que le livre cité par Philippe "Système Lean: Penser l’entreprise au plus juste" n’y réponde. Je viens de finir Je n’arrive pas à trouver de livre traitant de l’application opérationnelle de ces méthodes. C’est parce que ce qui est mis en oeuvre par Les Outsiders est tout sauf théorique et méthodique. Ce n’est pas théorisable, c’est du bon sens, de la rationalité et du pragmatisme à l’état pur. Si vous avez aimé, dans le même genre, je vous conseille Good to Great. A l’occasion de la sortie de la traduction française, dans les deux dernières minutes de l’émission La librairie de l’éco du 09/01, le présentateur Emmanuel Lechypre évoque le livre. Etant en pleine lecture de celui-ci, j’en suis surpris, car c’est quand même un pavé largement indigeste pour celui qui n’est pas passionné de bourse. Une bonne partie du livre (chapitre dédié et en filigrane d’autres chapitres) est consacrée à expliquer la différence entre spéculation et investissement. Nous sommes vraiment dans l’anti-thèse de la bourse-casino et Benjamin Graham mérite bien d’être considéré comme le père de l’analyse financière. C’est un livre qui explique comme devenir un investisseur et un joueur sur les marchés professionnels. Des générations de traders ont été biberonnés à ce livre et cela ne nous a peut-être pas porté chance, nous dirait peut-être Christian Chavagneux [chroniqueur économiste classé à gauche]. 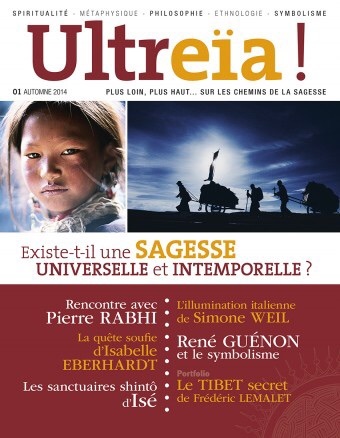 Manifestement Emmanuel Lechypre n’a pas lu une page du livre, mais en parle. Navrant, comme d’habitude, mais un énième exemple du peu d’intérêt à prendre connaissance du bruit médiatico-financier quotidien. 1- Il met un coup de pied aux fesses -> Suis je programmé pour subir ou pour être actif ? Que puis-je faire pour améliorer mon sort ? 2- Acheter des actifs qui rapportent et non des passifs qui coutent. L’exemple de l’achat de la résidence principal est très intéressant (passif qui coute). Par contre, le contexte du livre est en dehors de la culture européenne, de notre époque, des conditions sociales, économiques, réglementaires actuelles. En ce sens, il est dépassé, et cela devient vit ennuyeux. Maintenant, ce n’est pas ce qui est le plus important dans le livre, le plus important à mes yeux, ce sont les 2 points que j’ai évoqué précédemment, et rien que pour ces points, le livre mérite grandement d’être lu par les débutant dans la vie d’adulte. Je suis en train de commencer Security Analysis. Je n’ai lu que l’introduction (une petite centaine de page avant le chapitre 1) et j’ai trouvé ça très intéressant. J’ai l’impression que la traduction est très bonne (seulement l’impression puisque je ne parle pas anglais). Du moins les traducteurs semblent maîtriser le sujet, c’est déjà un bon point. The Success Equation: Untangling Skill and Luck in Business, Sports, and Investingde Michael Mauboussin. L’auteur présente de manière très documentée et relativement complexe le rôle et la place de la chance et des compétences dans la performance (sport, business, etc;..). Il convient que réussir en tant qu’investisseur demande de grandes compétences, mais aussi beaucoup de chance, tant les impondérables sont nombreux. En fait, plus le impondérables sont nombreux plus la chance explique la réussite. Ainsi, malgré toute la chance du monde, devenir champion du monde d’échecs sans en avoir les compétences nécessaires est impossible. A l’inverse, un brillant investisseur peut connaître des déboires en bourse bien qu’il soit hautement capable. L’auteur explique deux siècles de luttes autour de la notion d’égalité - des Révolutions Françaises et Américaines à aujourd’hui, en passant par la révolution industrielle et Proudhon. Il montre la nécessité de la reconstruction - aujourd’hui - d’une société fondée sur le principe de singularité, de réciprocité et de solidarité. Je viens de lire le livre de D. Voldman "Propriétaires et locataires: une histoire française" aux Editions Payot. Ce livre retrace 250 ans de relations entre propriétaires et locataires. Alors que le sujet est aride, je l’ai lu d’une traite, et je le conseille, en particulier aux immobilièristes du forum qui voudraient prendre du recul par rapport à leur activité favorite. Je viens d’achever The Fives Rules For Successful Stock Investing de Pat Dorsey déjà cité par Philippe il y a… quelques années (woah le temps passe). Je confirme l’opinion de Philippe, c’est un excellent livre résumant très bien à la fois les pièges de l’investissement, les règles de base, les principes des moats, les fondamentaux de la comptabilité ainsi que de la valorisation et un résumé de tous les secteurs de l’investissement (santé, services aux consommateurs, B2B, banques, etc.) ! Incroyable pour un livre de seulement 350 pages. On pourrait penser que tant de sujets en si peu de pages sont forcément bâclés, je pense au contraire que Pat Dorsey et son équipe maîtrisent l’art de la concision. Je recommande donc fortement ce livre aux débutants ou faux-débutants. Pour d’évidentes raisons de droits d’auteur, je ne peux trop détailler mais j’ai apprécié en sus leur "10-minute test" que je m’impose désormais (en ayant ajouté qqs points et enlevé 2 points). Je suis d’accord avec eux sur de nombreux aspects (importance du free cash flow et quasi-inutilité du compte de résultats, prêter une grande attention au type d’allocation de capital de la boîte, etc.). Un peu moins d’accord sur d’autres points (notamment leur amour des grandes capitalisations et leur peur des faibles liquidités et small caps qui, pourtant, pour un petit investisseur fait rater l’un des seuls -si ce n’est le seul- avantage comparatif démontré par la littérature). L’avantage de lire un livre de 2004 qui prend des risques dans ses recommandations, c’est que l’on a douze ans et deux grandes crises comme recul. Alors certes toutes les moats ne traversent pas l’épreuve du temps, après tout c’est normal, toute douve finit par être soit asséchée, soit traversée par un pont ennemi, mais ce n’est pas si ridicule. C’est le cas dans les domaines qui m’intéressent. Et comme j’aime les small et mid caps, j’ai repéré l’une des rares mid caps qui a passé le 10-minute test même en 2016 et qui est depuis dans ma watchlist : Linear Technology. Intéressant votre retour sur ce livre, Political Animal , du coup je viens de le télécharger en pdf , mais en anglais seulement, savez-vous si il existe une version en français ? L’avantage de lire un livre de 2004 qui prend des risques dans ses recommandations, c’est que l’on a douze ans et deux grandes crises comme recul. Alors certes toutes les moats ne traversent pas l’épreuve du temps, après tout c’est normal, toute douve finit par être soit asséchée, soit traversée par un pont ennemi, mais ce n’est pas si ridicule. J’ai relu toute la partie "Secteurs" récemment et j’ai trouvé comme vous que cela avait plutôt bien vieilli ! Cela reste un de mes livres boursiers préférés. Pat Dorsey, qui a monté son fonds en 2014 (Dorsey Asset Management) est également un bon pédagogue. Du même auteur, quelqu’un a-t-il lu Le petit livre pour réussir en bourse qui est disponible en français? Est-il intéressant? A-t-il un rapport avec l’ouvrage pré-cité? Ce dernier est un résumé des concepts de moat. Il y a à la fois la théorie et quelques exemples. Si vous n’êtes pas à l’aise avec l’anglais, c’est donc un bon substitut sur les moats et leurs sources, mais sinon préférez l’autre vous aurez beaucoup plus d’exemples d’application. @Pachakuti : j’ai lu le petit livre pour réussir en bourse de Pat Dorsey, qui est selon moi assez intéressant : la traduction semble très correcte en français, format agréable, facile à lire, très pédagogique : on a l’impression de se cultiver tout en se divertissant. Sans faire de vous un expert il permet de bien expliciter la notion de MOAT. A propos, quelqu’un a-t-il lu le livre Comment s’enrichir considérablement en 5 ans par l’Investisseur Français ? J’hésite un peu à l’acheter. Un retour de lecteur serait le bienvenu.